Perfect opportunity to own a custom built Urban Farms home in the North Gate! Solid well-built home on nearly an acre of land set back from the road with trees affording it privacy! The classic design of the home is enhanced by the owners' attention to detail. Enjoy easy living and entertaining. The living which flows into the dining room features wainscoting and crown moldings. The laundry room is off the updated kitchen which has a separate dining area that also leads to the deck. A brick fireplace and sliding glass doors to the deck enhance the family room. Updated bathrooms are a plus!Full partially finished basement with plenty of storage and ease access to garage. The country-like location is enhanced by the highly acclaimed school system, the proximity to shopping, restaurants, parks, houses of worship and highways. The borough is well managed which helps maintain a favorable tax rate. 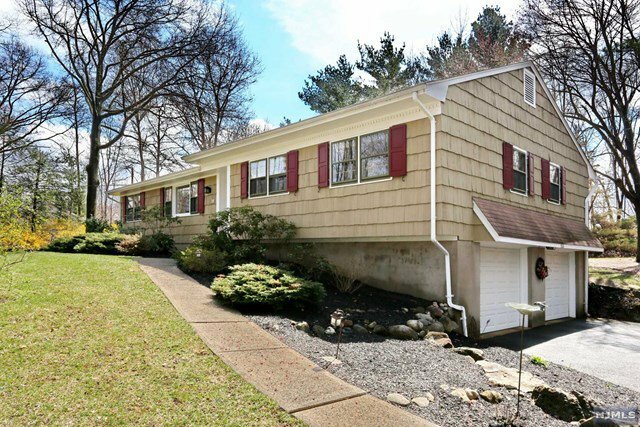 Listing courtesy of Coldwell Banker, Allendale/Saddle River Valley.